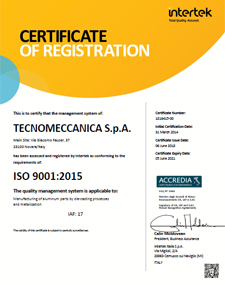 Tecnomeccanica S.p.A. operates and produces in accordance with ISO 9001:2008 as well as ISO TS 16949:2009. 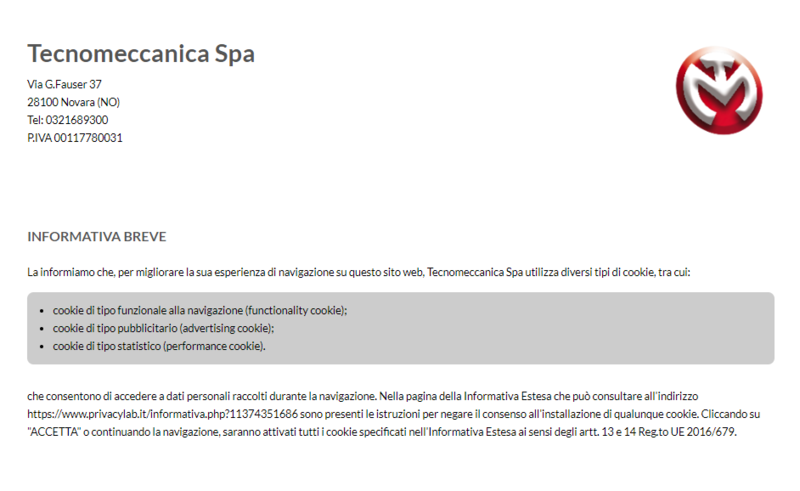 At Tecnomeccanica S.p.A., we strive to achieve customer satisfaction, which is consistently improved by providing components that meet customer needs in terms of both delivery time and conformity. 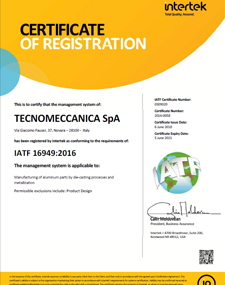 Through our execution excellence, we have been able to gain a leading position in a highly competitive and complex market.